Given all the drama surrounding this pack when it was introduced I was apprehensive to purchase it for review. I do my best to avoid such nonsense and feel that “taking sides” with gear companies doesn’t do any good. Rather I just prefer to call it like I see it and choose the gear I use because it’s best suited for my needs given what I can afford. When I first pulled the pack out of the box, I was pleasantly surprised to feel how light it was! In fact, when I weighed the pack myself, it was only an ounce over the listed 3 pounds 9 oz. I believe the ounce discrepancy is attributed to the fact that I had two of the accessory straps on my pack, and I assume Kuiu’s published weight is that of the pack without the accessory compression straps installed. I won’t go into all the features of the pack in this review, as Jason and Shaun do a great job of showing all of that in their Kuiu Live presentation video. Instead I’d just like to concentrate on how I felt the pack has performed over the last 2 months of solid use, and which features I liked and which I think could be improved upon. Let’s start with the good stuff. Aside from the light weight of the pack, the carbon frame is very stiff which I find helpful when heavy loads are on the agenda. The frame itself is also plenty tall to allow the load lifters appropriate angle to work on my 5’9” frame. I know people have reported issues with carbon frames breaking in the past, and while I have seen photos I haven’t personally experienced it. I will leave you to draw your own conclusion there. The bag layout is streamlined with basic external pockets and lid still allowing some organization without having to dive into the main packbag. If you do need to get inside the main bag, the side access zip on the right side of the packbag allows you to be inside the main compartment of the pack in just a couple seconds. Granted you have to work around or loosen the compression straps on that side to pull anything large out of there, but it’s nice that the option is there. I also like that the top lid is removable if one wants to make this lightweight pack even lighter. Fitting the pack to the user was straight forward. The fitting process on this pack is simple enough that even a person that knows very little about packs should be able to fit it to themselves with just a little instruction. One thing I really liked about the frame/harness system is the torso length adjustments. During the past two months of testing, my wife Becca and I have found it very simple to swap this pack back and forth due to just how fast the torso length can be adjusted. In a matter of 10 seconds one can adjust the pack from the maximum torso length to the shortest torso length. This is done with Kuiu’s T-Lock track system and hook and loop webbing. This system seems to work very well and is easily one of my favorite features of this pack. 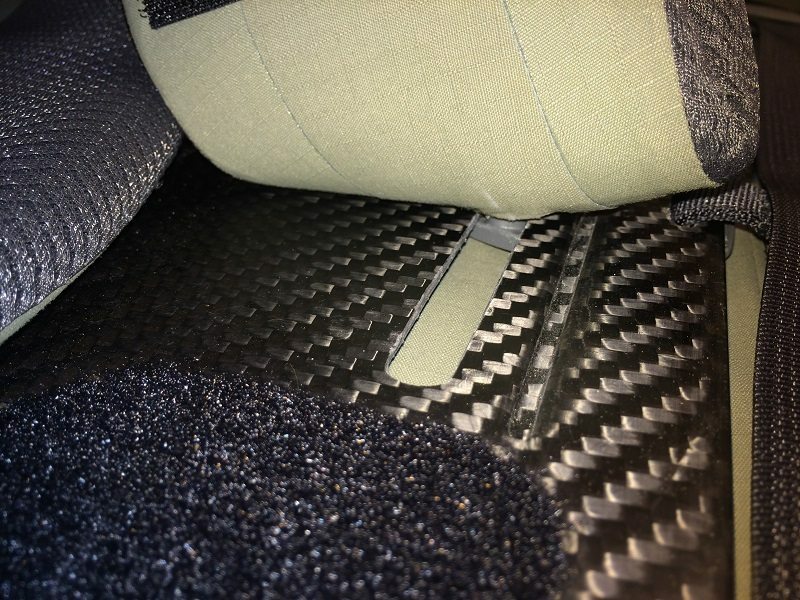 I also found the standard lumbar pad that was installed on delivery (it comes with another to adjust for more support if needed) provided enough support in my lumbar area. Another nice feature of the Kuiu Ultra 6000 that many will like is the ability to run the pack/frame in a “meat shelf” mode. 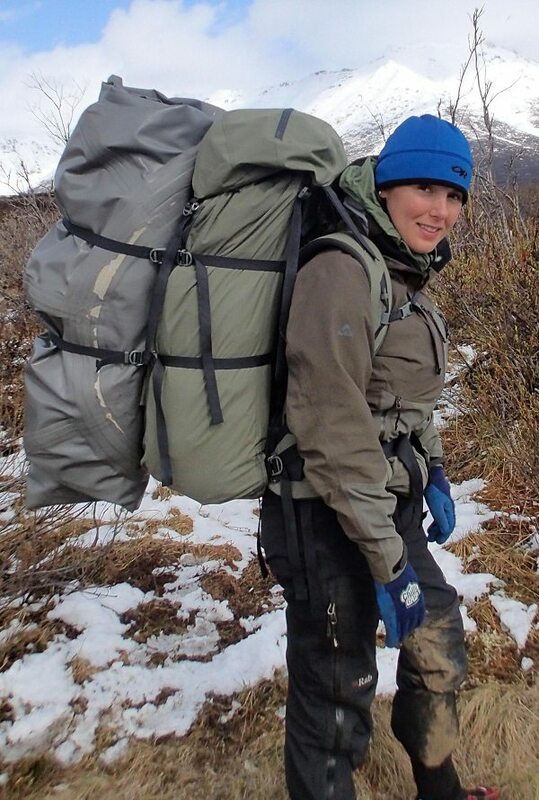 This means you can put meat or other weight dense items between the packbag and the frame itself and then pack your gear and less dense items in the packbag, thus compressing the meat between the frame and packbag in an effort to keep the majority of the weight as close to your body as possible. Personally, I find I would rather just properly load a large packbag with everything inside it. However, I realize many like this method so I thought it was worth mentioning. 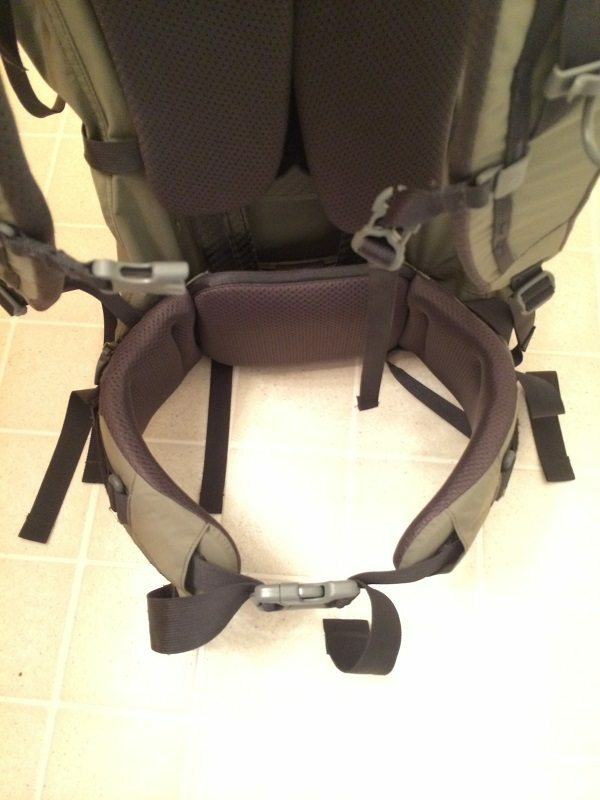 I found the standard four compression straps (two on each side) in conjunction with the top lid did a great job of sucking up the extra cubic inches of the packbag when I was using the pack was on day trips or when it wasn’t full. Lastly (and likely least important to most other than me) is the fact that the large accessory compression straps are long enough to accommodate a rolled up two person packraft. Before I begin with the aspects of the Kuiu Ultra 6000 I thought could be better, let me state that I realize this is a fit for purpose pack and thus is unlikely to fit every different individual’s particular needs. It is a streamlined pack with very few frills, and the designers went to great lengths to save weight where they felt they could. I agree with the perspective of saving weight where you can, but a lightweight item still has to function well. This is a 3 pound 9 oz pack, and I feel even adding up to 6 oz or so to the pack while still being under that 4 pound mark could greatly improve some of the functionality that was lost in an effort to save weight. My first disappointment with this pack was the fact that the vertical pocket was not long enough to fit my 85mm objective Zeiss Diascope inside it with the eyepiece on. Not a total deal breaker, as I use other packs that don’t have these pockets at all, but I just thought it was surprising given that Kuiu live made the statement that the pocket could accommodate the largest size spotting scope. If your spotter is near 17” or longer, just be aware that its not going to fit in there. Since this is an Ultralight pack this makes sense, as most people using it are likely hauling 1.5 to 3 pound spotters with smaller objectives than an 85mm, 4.5 pound hunk of glass. The next area in which I felt the Ultra let me down was the tension locks that were used instead of standard side release buckles. I am sure many will find they prefer the innovative design, but I found them difficult to operate with gloves on and a couple of the loops on the pack where you slide them through were sewn a little too snug to easily slip them in and out. I also question how the metal portion of the locks will continue to function and spring out over time, especially when dirt and grit are part of the equation. We shall see I guess. 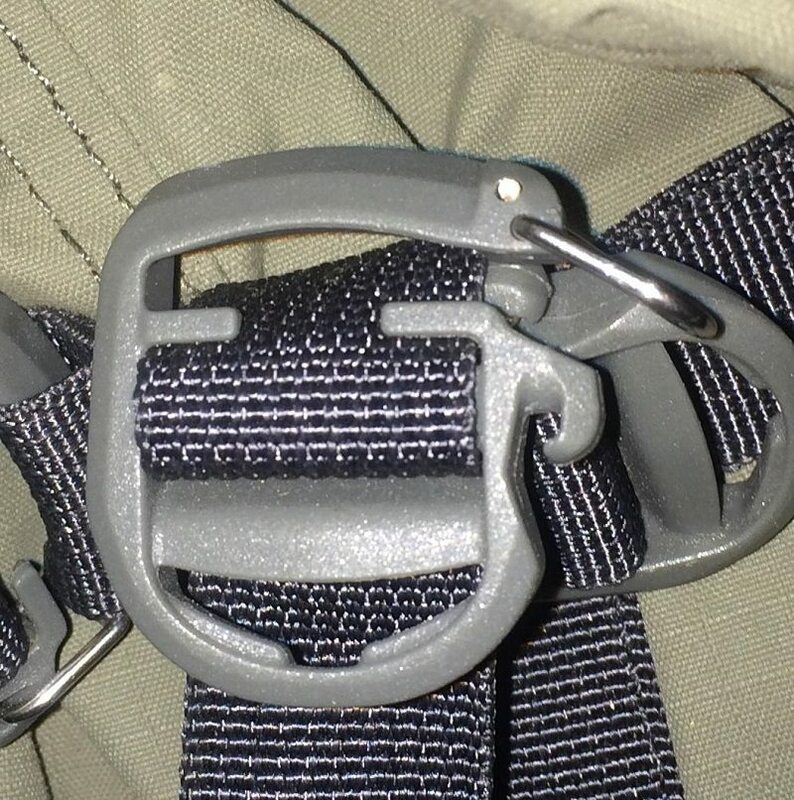 There are a total of 12-16 of these tension locks on the pack at any given time depending on how you have it setup with accessory compression straps or not. I wonder just how much total weight they are saving by using these rather than say ¾” side release buckets that are much quicker and easier to operate. I would certainly be willing to sacrifice a few ounces to have the more functional side release buckles. A minor annoyance was that the frame itself squeaked with every step on a 5 mile day hike we did. Not sure what was causing the noise (we investigated and couldn’t identify the cause), but it certainly got a bit aggravating as the miles went on. This is a minor thing and it hasn’t happened every time we used the pack, so perhaps it won’t be an issue long term. My largest complaint about the Ultra 6000 is the waistbelt itself. 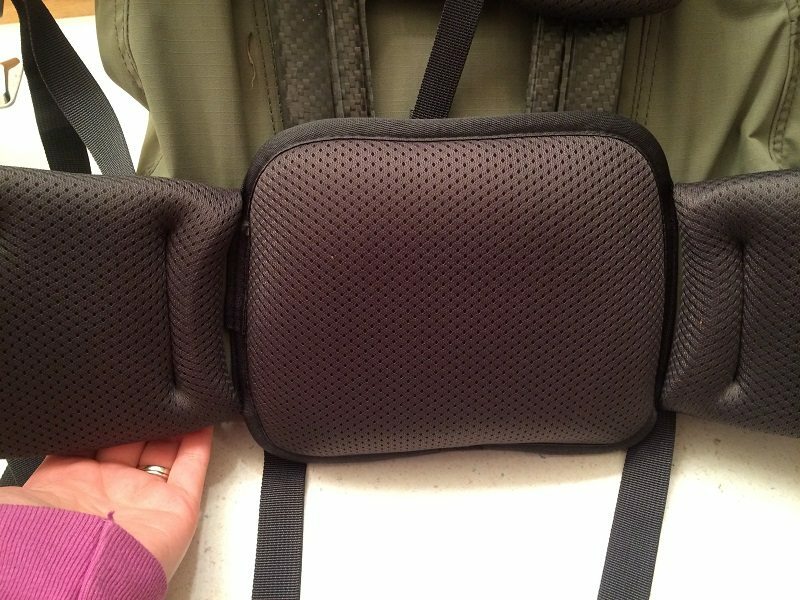 While the lumbar pad works well, the belt portion that wraps around the hips is not comfortable for me with loads in excess of 75 pounds. I tried adjusting the belt several different ways as I attempted to cure this issue, but to no avail. I wish I could steal the belt off of an Osprey Aether, my favorite mainstream pack for backpacking (not backpack hunting), or another similar waist belt that wraps my hips much more comfortably. Also I prefer using an Osprey like belt design so that belt tightening is accomplished with an outward pulling motion rather than the conventional tightening found on the Kuiu Ultra and many other packs. Yes adding a belt such as this would add weight; but this would be the single best upgrade to this pack in my opinion. 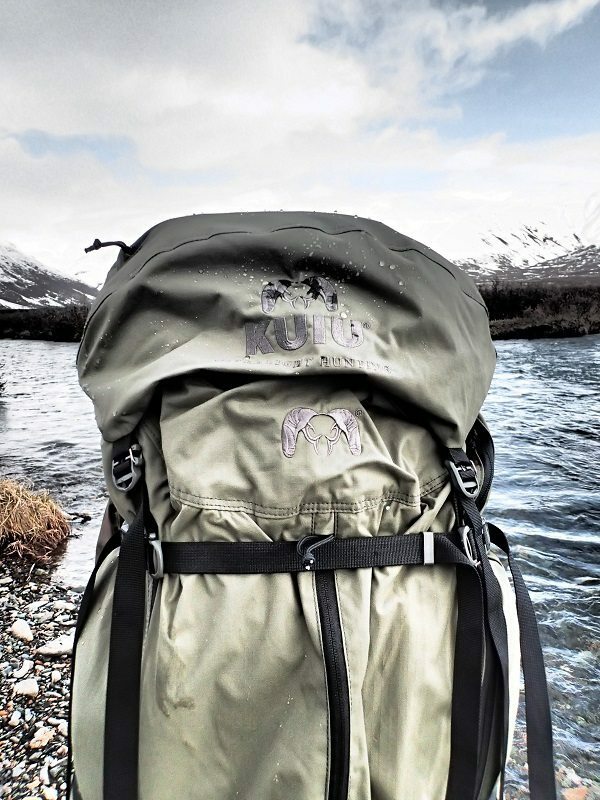 In fact, Kuiu just recently launched its new Pro Icon frame and packbags. The new frame looks to be approximately 5 oz heavier that the standard Ultra frame. The weights appear to be 36 oz for the standard Ultra frame and 41 oz for the Pro Icon frame (which appears to be a standard Ultra frame with a waistbelt very similar to what I suggested above). This was encouraging to see and I looked forward to possibly swapping out the waistbelt on my standard Ultra to the Pro Icon waistbelt to see if this enables the Ultra haul heavier loads more comfortably. However, as it stands right now one has to order the Icon Pro 1850 bag and the harness to obtain a Icon Pro waistbelt. This is a $200 purchase just to upgrade a waistbelt. 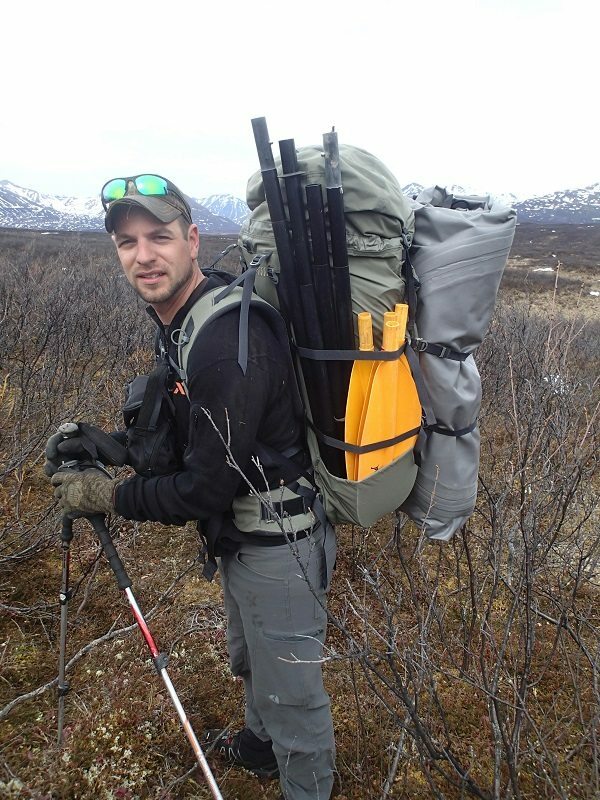 This seems pretty steep and certainly causes the Ultra 6000 to lose its allure as a hunting pack that can haul heavy loads if it costs the user an additional $200 just to upgrade to a waistbelt that MAY help the pack better haul loads in excess of 80 pounds. Perhaps down the road Kuiu will offer just a waistbelt up grade for perhaps $50-$60 in which case I would jump on it. 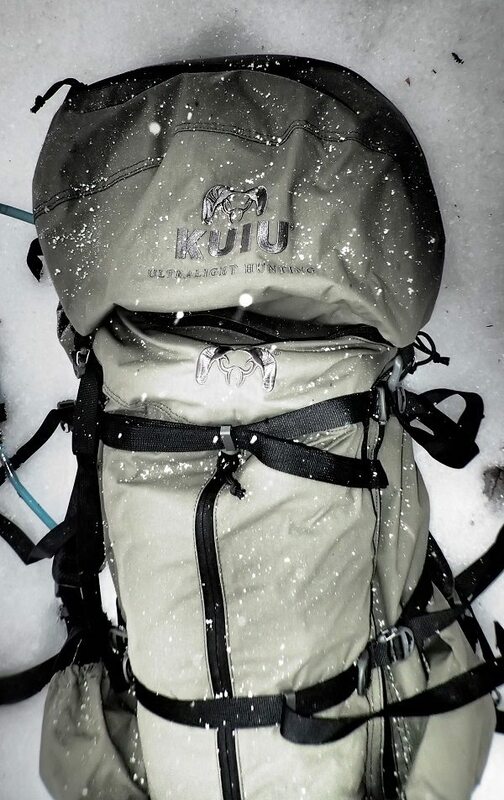 I really hope Kuiu offers the option to purchase the 6K Ultra packbag on the Icon Pro frame for somewhere in the neighborhood of $375-$400 as I think that would still be a bargain, especially if the upgraded waistbelt carries heavier loads better. As this would strike a great balance between cost, weight (should still be sub 4 pounds), and potentially better haul heavy loads. While I’m not sure if it’s fair to compare the Kuiu Ultra 6000 to other packs that cost twice as much and weigh in at twice as much. The fact is, (for me) with heavy weights above 80 pounds, the Kuiu Ultra frame isn’t nearly as comfortable to wear as its much more expensive and heavier weight competition. This is why I wouldn’t choose to use the standard Ultra as MY sole backpack hunting pack. It is cool to say you are starting a week long sheep hunt with a Kuiu Ultra and total pack weight for the week coming in at 39 pounds versus a more expensive but much heavier pack that has you starting your week long hunt at 43 or even 47 pounds. What I find not cool is when you tip over that sheep 15+ miles from the truck or airstrip, and you now have 110-130 pound pack to haul back. At this point depending on terrain you are looking at one VERY long day or two days to get yourself, your harvest, and your gear out of the backcountry. I have found with triple digit pack loads I’d rather be using a 9+ pound pack (like a Mystery Ranch NICE 6500) than a lighter pack that isn’t nearly as comfortable with the same load. Basically, do you want to suffer through a LONG day or two days of packing that load in a pack you can “make work”, or would you rather select a pack that is better suited for hauling such weights? 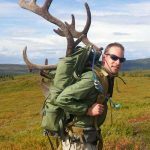 A better “hauling pack” can make the experience if not enjoyable at least less miserable, even if the if the heavier weight of the pack itself adds to a heavier load overall. Do I think the Kuiu Ultra 6000 would make a good pack for backpack hunting? Honestly that depends. 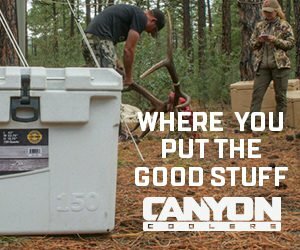 If you are someone that packs a deer or two annually 3-5 miles back to the truck, then this pack would be a great option, especially considering the price point. That said, I annually help pack 10-12 animals out of the field each year, I feel the Ultra 6000 doesn’t fit my needs as well based on what I look for in a hunting pack. Before you think I don’t like the pack, let me state that I actually do like this pack now that I have determined what needs it best suits for me. 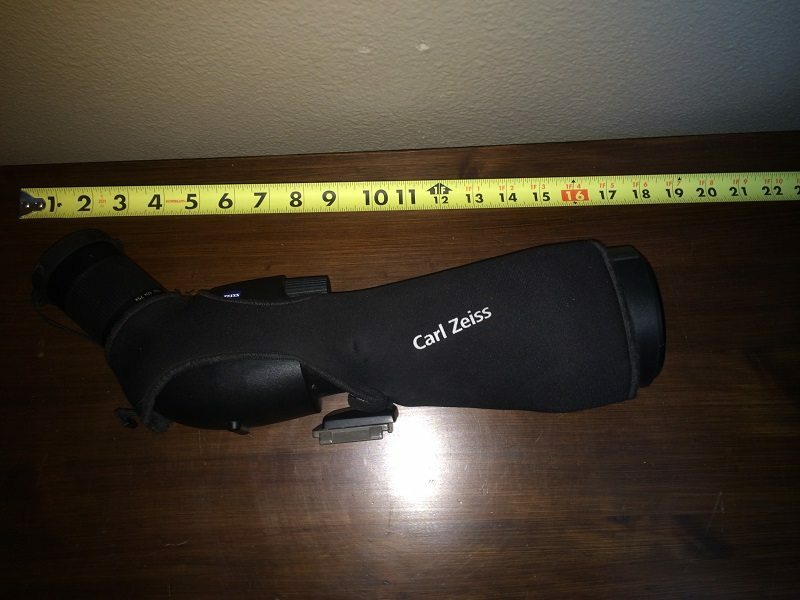 I plan to keep it for use during most of my summer backpacking and scouting trips. 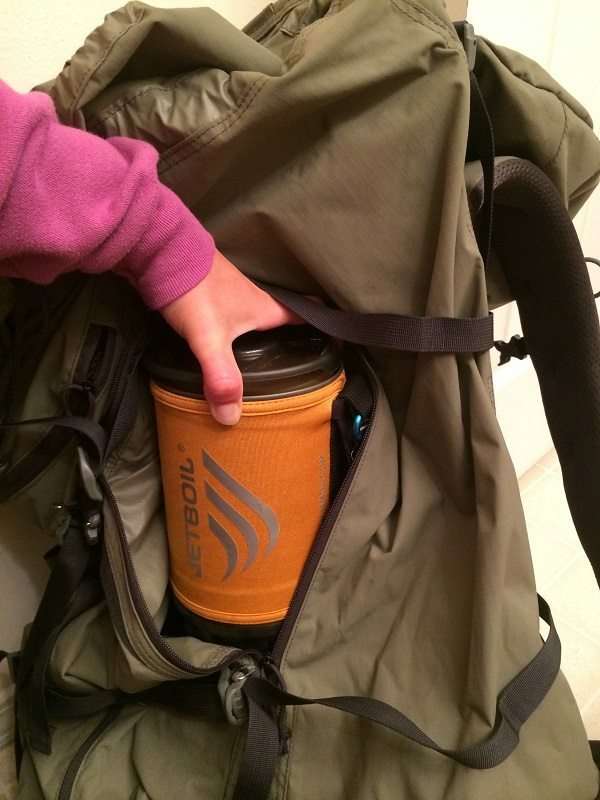 In fact I plan to use it in less than 2 weeks on a 120+ mile backpack trip Becca and I are taking. 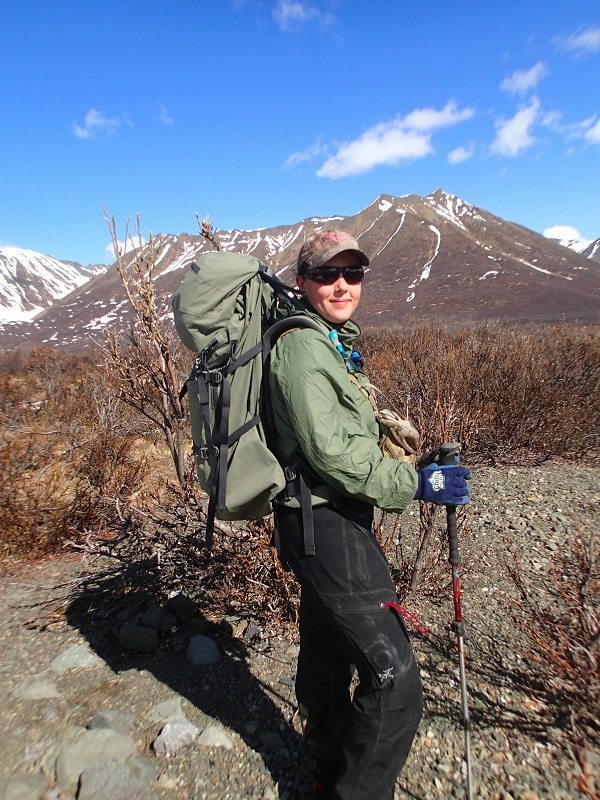 As a backpacking and packrafting pack, it fits the bill extremely well as onmost of these trips I start out with anywhere from 30-75 pounds and gradually get lighter as the trip progresses. I also feel this pack could be a great option for someone that eventually wants to save up for a top tier pack, but needs something to use this season. 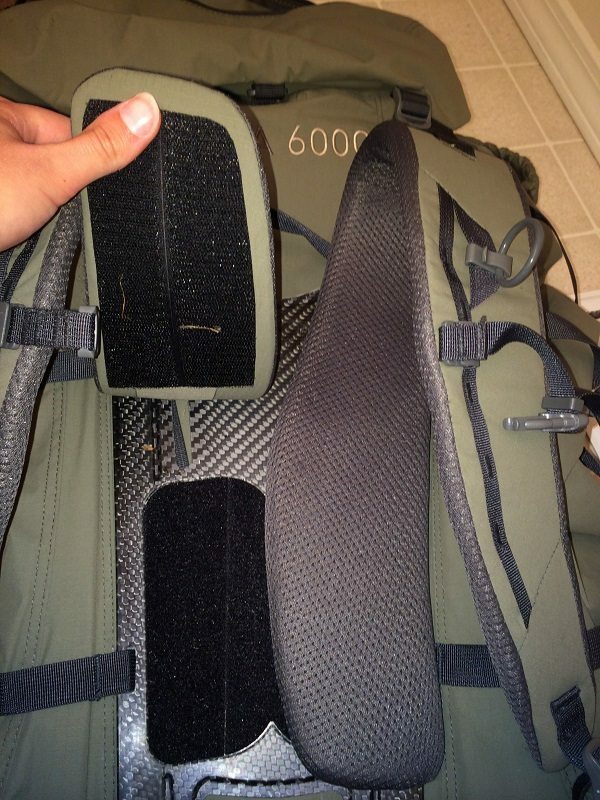 Once that person is finally able to purchase a top tier pack, then the Ultra 6000 could still be used as a general backpacking and/or scouting pack. It would also be an excellent option for use by his teenager or wife who rarely plans to pack loads over 80 pounds for very long. The Kuiu Ultra 6000 hauls loads more comfortably than other hunting pack competitors in its price range that I have tried and it does it while weighing significantly less. Overall I think the Kuiu Ultra 6000 could be a great option if one buys it with the correct expectations. If you think it’s going to carry heavy loads for you as well as some of the packs available at twice the price point, then you may or may not be in for a bit of a let-down. However, if you buy it knowing its potential limitations it could be just what some folks are looking for in a lightweight hunting pack at a great price.